Cybersecurity has increasingly become a major concern for the public sector. In 2015, the public sector suffered more confirmed data breaches than any other single industry and continues to be a top target for hackers seeking critical information or to disrupt government. The Federal Information Security Modernization Act of 2014 amends the Federal Information Security Management Act of 2002 (FISMA). 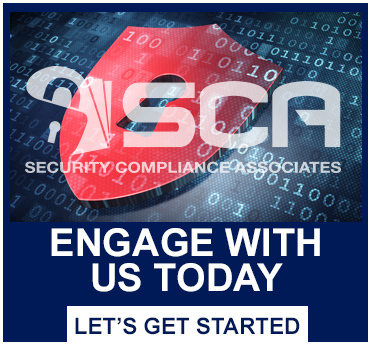 The goal is to provide information security protections commensurate with the risk and magnitude of the harm resulting from unauthorized access, use, disclosure, disruption, modification, or destruction of information and information systems. Government organizations and all critical infrastructure as defined by the Department of Homeland Security (DHS) must invest in cyber and data protection. The NIST Cybersecurity Framework provides a common language for understanding, managing, and expressing cybersecurity risk both internally and externally. The Framework is broken down into Five Functions: Identity, Protect, Detect, Respond and Recover to guide an organization to improve cybersecurity posture and maturity. Whether a local Municipality, County, State or Federal Governmental Agency, we have the experience and know how to meet your cyber security and compliance needs. Our information security experience in varied industries, understanding of regulatory requirements and familiarity with established information and cybersecurity frameworks allows us to meet your needs and exceed your expectations. Our team of security analysts are college degreed (many with graduate degrees including MSIT and MS Cybersecurity), hold advanced certifications and have over decades years of combined experience. Our security analysts have worked for NASA Mission Operations, the Department of Defense, Fortune 500 Companies, and Local Government Entities.